Couple of days ago I reviewed RAW files from my latest photo shoot in Barcelona and suddenly I stumbled upon photo with strange white traces in front of Barcelona Cathedral. It was bracketed sequence with 5 different exposures – 1, 2, 4, 8 and 16 seconds long. Only second exposure had these mysterious trails. All other exposures was perfectly clean. I was really amazed because I did’t remember anything like this during the shoot. My first thought was about some unique natural phenomena like Aurora Borealis. The one which cannot be seen by human eyes, but can be captured by camera sensor. Then I start thinking about unreal paranormal events – such as lost souls flying in front of the Cathedral. But the real answer was easy and it came to me when I found the car lights traces on fourth exposure from the bracketed sequence. Instantly I remembered the car passed near Cathedral during the photo shoot. It scared away a huge flock of birds and these flying bird, illuminated by car lights, were rendered as long white trails you can see on this photo. Today is a Christmas Day and it is boring to name this photograph like “Birds Flying in front of the Cathedral”. 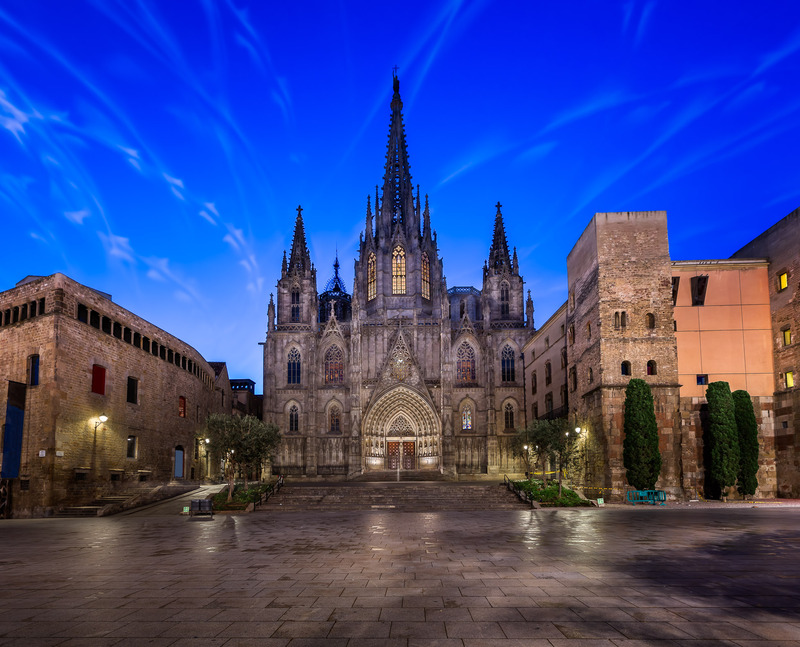 Lets make it “Angels Flying in front of Barcelona Cathedral”! Single image, additional exposures for highlights, focal length 16mm, aperture f/8, shutter speed 2 seconds, ISO 200, tripod, birds starring as angels.